We have already had a taste of apocalyptic writing in the last few chapters of Daniel. “Apocalyptic” is an ancient style of writing. It involves using rich picture language to convey a message. It is very effective, but unfortunately rather difficult for us to interpret years later. From chapter 4 of Revelation onwards, we are immediately immersed in the land of pictures and their meanings. We are not to forget there was also a very real situation at hand for the people in the churches John writes to in this book (or, letter). Titus Flavuis Domitian had his time for power. By the time he was 30 he had a huge territory. He owned the whole of the Mediterranean and it was reported he also held 60 million slaves. His behaviour became intolerable. Those close to him assassinated him at age 45. Revelation was written in 95 A.D when Domitian had one year left to live. To be a Christian was to live on a knife-edge. You had to worship Domitian as Lord and God. To look at this book is to look at the faith and confidence of the early church. 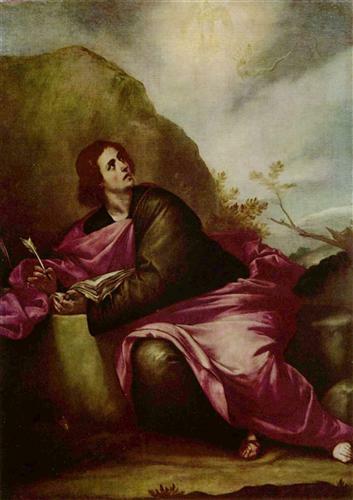 The early church found reassurance and comfort in this series of pictures given to John, exiled to Patmos – a little island 6km long, 11km wide, 56km off the Turkish coast. It belongs to Greece now. The church was being severely and bitterly persecuted. It was dreadfully poor to the point of horrific poverty, except it seems the Laodiceans were in a comfortable place. If you are lost, or dying, the one thing you really want to know is that you do not believe in vain. Is Jesus all He says He is? Can he really come and rescue us? It doesn’t seem like He is doing it now. Who is actually in control? It doesn’t seem like the ‘king’ is. Is this all for nothing? As I write this, however, I’m sure a new view and way of interpreting it just appeared on a shelf somewhere in the world. No need for hopelessness though, Revelation is in our Bible sent by our heavenly Father for us! Each of the interpretive views above has parts to commend them and arguments to deny them. Why don’t we consider a few arguments that most people agree on, draw out a few interpretive principles, and then get to read the wonderful letter? Firstly, we agree that the letter is primarily to reveal Jesus. If all we get out of the letter is the revelation we gain about Jesus then we have done well. Jesus the leader of the churches (Revelation 1:1-3:22); Jesus the Lord of history (Revelation 4:1-8:1); Jesus who reigns during judgement (Revelation 8:2-11:18 ); Jesus victorious over the dragon (Revelation 11:19-15:4 ); Jesus the one who holds the keys to death and Hades; Jesus the one who executes the judgment of God (Revelation 15:5-16:21); Jesus the mighty warrior who has conquered Babylon (Revelation 17:1-19:10); Jesus the returning king who brings in the new heaven and earth for his people (Revelation 19:11-22:21). Secondly, we are to agree that the letter was written to certain churches at a certain time and the primary reason was to encourage them. The character of all the writings we have in Scripture is essentially the same. Most books have relevant facts for now, truths that are always applicable, and securing statements about the future. Revelation is the same. It has facts about then, truth for then and now, security about the future. Thirdly, we are not to read it as one would a Pauline letter. The letter is the unfolding of a great drama. “And after this I saw” doesn’t have to be a chronological statement. It could quite easily be the unfolding of the next scene in a great play. We are to read it firstly asking what are we supposed to see and then asking what it means. Our interpretive lines lead us to advise you to read the letter as eight scenes in a great play. Each time you read “After this I saw” or “Then I saw”, which will happen eight times, the curtains are closing and a new scene is about to begin. The new scene is putting to us in picture language what Jesus wants them and us to know. The scenes are not necessarily chronological as much as they are descriptive. They are describing reality from different angles and points of view. It could be history from the eye of heaven, from the perspective of the Christian, from the view of non-Christians, and so on. 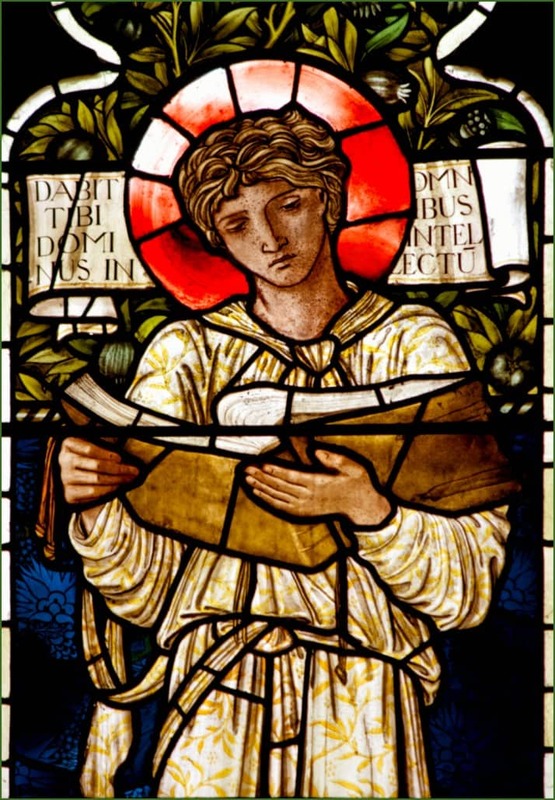 John is beckoned into heaven – the sphere of spiritual reality to see things as they are. He sees a breathtaking throne. The church is there (twenty-four elders) and creation is there (living creatures) and all worship Him who sits on the throne. A scroll is there – the scroll of the annals of history. But only one can open it. Jesus is the one in charge of history. Jesus begins to open the scroll of history. And history unfolds, explained by horses riding out. Times of trouble, tyrants, famine, death, persecution, inequality, economic difficulty are all riding out into the world. And so they have, do, and will continue. BUT chapter 7 says there is something else to see in the picture. The people of God are indestructible. The people of God cannot be touched. God knows every one of them and could number them (144,000 – not a literal number, but a picture) but they cannot number themselves (a great multitude). They are washed, around the throne and kept safe. This is a small example. Don’t take the pictures literally: that is surely a mistake. Keep asking ‘what does John see’ and then ask what it means. Eventually you’ll find yourself a little more at home with the picture language and the apocalyptic style. If you’re left scared, worried or unsure about your faith in Jesus your interpretation is wrong. If it leads you to watch the news worried about loosing your salvation if you bank in certain way or get a tattoo on your wrist, you are also wrong. If it leaves you sure, knowing that Jesus is in change of everything including you and your life forevermore, you’re on the right track. If it leaves you with a sense of hatred for worldliness and a desire to get away from the world and be at home with God – again the right track. Your interpretive style can be judged by its fruit in your life. Want to study Revelation in greater detail? 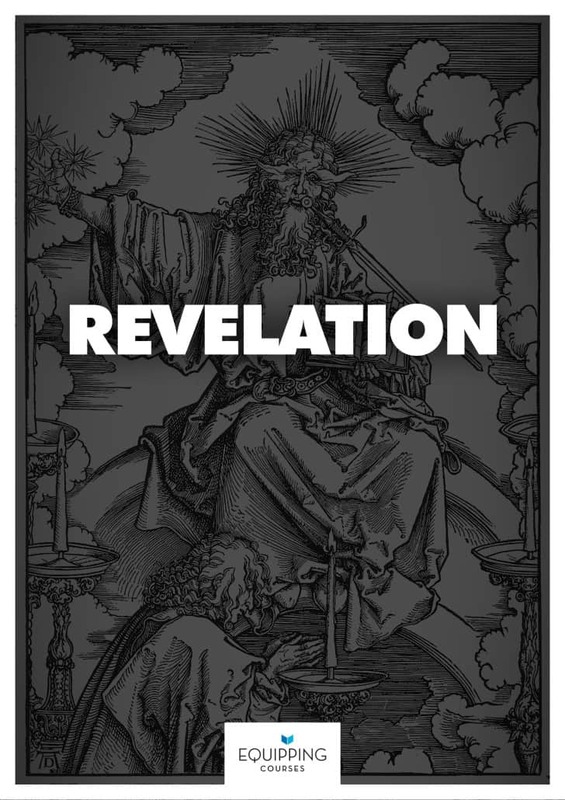 Download our Revelation study guide or preaching series. Predictions of the end have always been with us. In our day, too much of our understanding of Jesus’ second coming is influenced by science fiction and TV documentaries. Some spend their lives in conspiracy theories and current affairs, trying to discover who the antichrist is or what 666 means. But the book of Revelation isn’t actually that difficult to understand. It’s not scary or difficult. You don’t need charts or a degree in world history. It is a practical book that you can apply today. This study book is based on a two-year preaching series on the book of Revelation where we uncovered the encouraging and highly relevant message of this book. Gaius seems to be a leader in a church that John knew well. Presumably Diotrephes was keeping people from experiencing the help and welcoming nature that John assumes a Christian should ‘expect’. The church should be an open place, a welcoming place for other believers and leaders. The dividing issue was Diotrephes’ personal spiritual problem, not Gospel truth. Perhaps he was fearful or controlling, worried that another preacher might ‘steal’ his people. But that is surmising. The principle is clear in this short letter – the local church is to be a place of truth and openness, not sectarian or closed. Remember 2 John and 3 John provide us with a wonderful balance. Both sides are important. The ‘elect lady’ is John’s playful way of referring to the local church. He might have also used this way of speaking to avoid the authorities persecuting the Christians understanding that the letter was written to a church. We assume he is thinking of the churches in the areas around Ephesus in the late A.D 80’s or early A.D 90’s. 2 John and 3 John go together. 2 John deals with the danger of openness to any and every teaching and 3 John with the danger of isolationism. 2 John is concerned with the truth. The Truth is the Jesus come in the flesh. The truth is the message that turns the community to one of love and purity. They, the readers, should be careful not to let anyone who brings some other teaching have a pulpit or influence. The truth is to be protected by every person who makes up the ‘elect lady’ – us. The now old apostle John pens this letter to all Christians in about A.D 90, probably from Ephesus. He tells us why he is writing to us – “So that we may know that we have eternal life” (1 John 5:13). This letter was written to assure us. 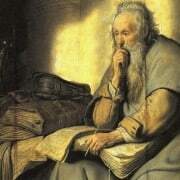 It seems as though John’s readers were encountering three wrong teachings: (1) that Jesus never really came in the flesh; (2) there is knowledge about spiritual matters to be gained outside of Jesus that really matters; and (3) godly living doesn’t count for much. 1 John deals with all of these troubles. He tells them of the Jesus of history they touched and felt. Godliness does matter because it has to do with love and learning to love is the Christian life, if nothing else. He refutes special knowledge by saying that the Holy Spirit knows everything and there is nothing to know that the Spirit doesn’t already know. We are to remember that John wrote 1 John to assure his readers. Since the 17th Century the letter has been used differently. In some circles it has become a type of manual that says, “If you do this then it proves you are a Christian after all.” 1 John can cause great introspection – questions of how well and loving we really are. If we are thinking that the level of our love proves our salvation we will have trouble. John should not be taken this way. 1 John 3:1 says he writes to children of God, and that is what we are! He is not causing doubt but assurance! John then tells us that the more we have fellowship and the more we love, the more we will experience being genuine children. Our experience will match up to what we are. Read it this way and it will be a great blessing to you. And please consult some good commentaries. You will agree that the ‘sin that leads to death’ is to not believe in the gospel at all, while every other sin God will forgive. Peter writes a second letter to the Christians of Roman Asia Minor. He is nearing his death and this is his farewell letter. Chapter 1 serves as wonderful teaching on sanctification – the process of learning to live more and more like Jesus. Peter is concerned in this letter with knowledge. It is when we become sure of Jesus and truth about Him and ourselves that godly living receives great impetus and help. You’ll notice that similar to Paul, there is a lot to believe before we get to right behaviour. He introduces himself to the readers (2 Peter 1:1-2). He calls them to live upon God’s help and take responsibility for godly living (2 Peter 1:3-11). He then tells them his reasons for writing (2 Peter 1:12-15) and to keep hope in the coming of Jesus (2 Peter 1:16-21). He warns them of false prophets and their teaching (2 Peter 2:1-22) and then confirms again that Jesus will return (2 Peter 3:1-10). Sure of his return, they should consider the practical implications (2 Peter 3:11-18). A small comment on a key question in 2 Peter 3:11 “If this is true, what sort of people ought we to be?” Peter says we have to be sure that the material of this world will all burn up and a new world will be made of the ashes of the old one. All sin and wickedness will be exterminated and creation will become new, restored to its former – if not newer – glory. If all luxuries and the stuff we so love is going to be destroyed, surely that should affect how you live? At the writing of 2 Timothy, Timothy is still in Ephesus but Paul is in a different situation altogether. 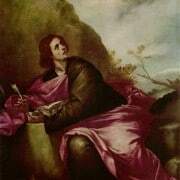 He has been arrested again (after writing 1 Timothy) and placed in Roman prison. This time however, he is without his parchments, companions, a rented house; and is inaccessible. He is totally alone. Under Emperor Nero he is expecting that he will not even make the next big change of season. This is Paul’s last letter and nothing will be heard from his pen again. 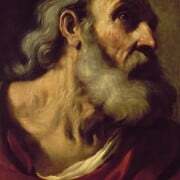 At least nothing new: we still have 2 Timothy with us and Paul speaks on! His epistle is very personal. He mentions twenty-three individuals by name. Much like Paul’s tears when he left the Ephesian elders on the beach in Acts 20, you can almost hear the trembling, emotional crackle of an emotive voice speaking in this letter to Timothy: “Hold on”; “keep fighting the fight”; “stay the course”; “Jesus is coming”; “He is faithful”; “Don’t hold back” are some of his impassioned pleas. Who the friend of the Apostle Paul is that wrote this letter will be unknown until Jesus returns! (Hebrews 13:23). The letter ‘to the Hebrews’ is obviously written to Jewish Christians but we don’t know where they were situated. But the more pressing issue is the reason for the letter – it seems clear from reading the whole letter that these Jewish Christians had faced troubled times of persecution from other Jews and more was to come. They were under pressure about Jesus. False teaching or social pressure was pressing them to claim that Jesus was somehow less than God the Son and sent Messiah (Christ). If they proclaimed Jesus as no more than an angel the persecution would subside and life would be much easier. But they cannot do that, says this letter in many different ways. The Christians have many reasons to press on in faith and must not sin against what they know to be true. Jesus is not an angel, He is the Son of God who became human to save humans (Hebrews 1-2)! Jesus is greater than Moses and these Christians need to be careful that they don’t fail to listen to God like their ancestors failed to listen to God through Moses (Hebrews 3:1-4:14). There is no point for them to turn back to Jewish religion because Jesus is the Great High Priest and he is the fulfilment of what the Old Testament priesthood pointed to (Hebrews 4:14-7:28). Jesus is also the one who mediates a new and better covenant than the previous covenant, the very way of relating to God that they had always hoped would come (Hebrews 8-10:18). The Christians have every reason to continue in faith. They need to take courage from each other, previous heroes of the faith, and from Jesus himself. He is the same yesterday, today and forever, and he will be faithful to them. They are to seek the city to come while God gives them grace and peace to keep going in their tough times (Hebrews 10:19-13:25). The common stumbling point for readers of Hebrews comes mostly in two areas – (1) the overall Jewishness of the letter, and (2) the strength of the warnings. We’re not immediately familiar with Jewish tradition and way of life. You may need to brush up on your Old Testament to understand Hebrews better. The strength of the warnings is sometimes hard to interpret especially in the face of seemingly equally strong encouragements: “He has secured an eternal redemption” and “impossible to renew to repentance” seem to be contradictory. It would be foolish for us to glibly answer these intensely debated questions in one small intro. The encouragement to you is make sure that you understand carefully what the warning is warning and what the promise is promising. Is the warning about blessing in this life or about ultimately going to heaven? Is the promise about blessing in this life or about ultimately going to heaven? Read carefully and follow the interpretative rules that hopefully you have learned up to now. If you do this, you will find Hebrews the deep encouragement that its original readers must have found it to be. 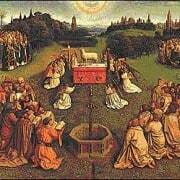 Pic: Adoration of the Lamb, by Jan van Eyck (1432), oil on wood, Ghent altarpiece, Cathedral of St. Bavo, Ghent. Suffering and hope make up forty of the words used in this short letter written by Peter. Here we can learn the connection between suffering and glory. No more sure understanding is needed today than the place of suffering for the Christian. Some think our life is all suffering while others claim that we suffer because we lack trust (faith). Which is it? Peter will tell you. The Christians that Peter is writing to are facing terrible times from hostile Jews and fanatical Gentiles. General Christian dislike was threatening to become active persecution and would do so under Emperor Nero in the near future. Peter himself would be caught up in the slaughter of Christians and tradition holds he would die in an upside down crucifixion. What a different Peter we hear from in this letter. The impulsive, restless, and sometimes cowardly, sometimes fearless Peter of the Gospels is now patient, loving and secure. Our persecutions are from Rome’s emperors but pressures loom from all sides: coolness in faith, pursuit of comfort, and persecution for radical faith are all like the lion Peter promises is waiting to devour us. 1 Peter is a deeply encouraging letter. When times are tough, Peter’s words will help you. It is a letter worth memorising. There are also concepts worth cherishing in the heart. Concepts like foreknowledge and choosing are most exquisite, as well as being born again to a living hope. One more thing to add: the word ‘hope’ has a slightly different meaning today to Peter’s usage. Remember, the Bible was written in a different language! Hope here is better understood as ‘anticipating’ or ‘eagerly expecting’ – a far more positive view as opposed to our way of thinking of hope, which is something more vague and more like wanting something to happen, but not being sure if it will. Peter is sure when he uses the word – he is telling us to expect and anticipate glory. He is far from asking for a vague little encouragement that we should “hope” things will turn out okay. What is this about the “spirit’s in prison”? “In the Spirit also he went and proclaimed to the spirits in prison. They were the ones who did not obey, when God’s patience waited in the days of Noah, while the ark was being prepared, in which a few, that is, eight people, were brought safely through water”. As with all interpreting, following the argument carefully is key. Peter’s argument in verse 17 is that we should make sure we only suffer for good reasons. Jesus also suffered for doing good (3:18). Then comes the culmination of his encouragement. Following the argument and avoiding long explanations of interpretive detail leads to this understanding of these verses: when the Holy Spirit raised Jesus from the dead, He claimed victory over all the activity of the evil spirits behind all the trouble of his death and days. These same evil spirits were behind the wickedness of Noah’s day. God was being patient with the people who did not believe in Noah’s time and he is also being patient with the wickedness of the persecuting Romans. Noah was rescued when judgement fell in a decisive victory, and Jesus too has ascended in total victory. Therefore the assured victory over the evil of their day is assured. There is no need to panic. He is using the days of Noah as a picture, an example, of what God can and will do. 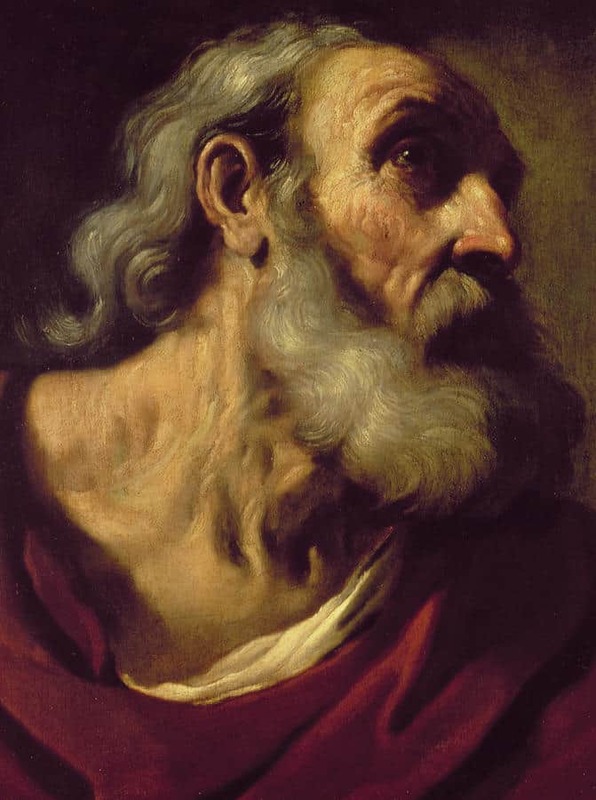 Paul wrote 1 Timothy and Titus at the same time, during house arrest arrest in Rome. While Timothy was at Ephesus, Titus was given the task of going to Crete. Crete must have been a tough place – you may chuckle when you read Titus 1:12-13! Titus had a solid track record and had done good work for Paul and the gospel, solving the problems in Corinth already. When Paul heard that Apollos was about to go to Crete he decided to send this letter to Titus. Good works feature prominently in the letter. Titus is to ordain elders, keep the doctrine sound, and administrate a few particulars in the church. Look at this strong statement in Titus 1:16 – “…they profess to know God but deny him by their lifestyle”. Times in Crete are both unlike but also much like today. 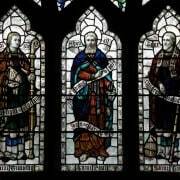 It seems that there were people who professed faith and love for God but a quick examination of their lifestyle didn’t reflect that in the slightest. Mere talkers, obviously. This letter to Titus reminds us that what we believe is supposed to work itself out in our behaviour. What’s interesting is that today we have the same problem. People who profess to know God but we don’t see much good work in their lives. We may well see that they aren’t bad people and they have ‘cleaned up’ and are moral upstanding citizens, but never get to good works at all. They are kind of in neutral: not bad people, but no good works feature. Paul tells Titus to get these types of people moving. Sometimes your mind wonders to what the people of the Scriptures must have actually looked like. Here we have a letter to Timothy, a young guy who converted to Christianity while Paul was ministering in Lystra. What kind of young man was he? Paul was especially fond of him. He needed a lot of encouragement and spurring on. During Paul’s second missionary journey he took Timothy as his companion when he passed through Lystra again. Some time later he assigned Timothy to the church in Ephesus right into the deep end in the thick of ministry and leadership. Both 1 & 2 Timothy are sent to the young man while he is at Ephesus. In 1 & 2 Timothy, and Titus, we have Paul’s only letters to individuals. Remember at this stage of church history there is no formalised canon of Scripture to turn to for guidance. They were ironing out many issues as history moved on. 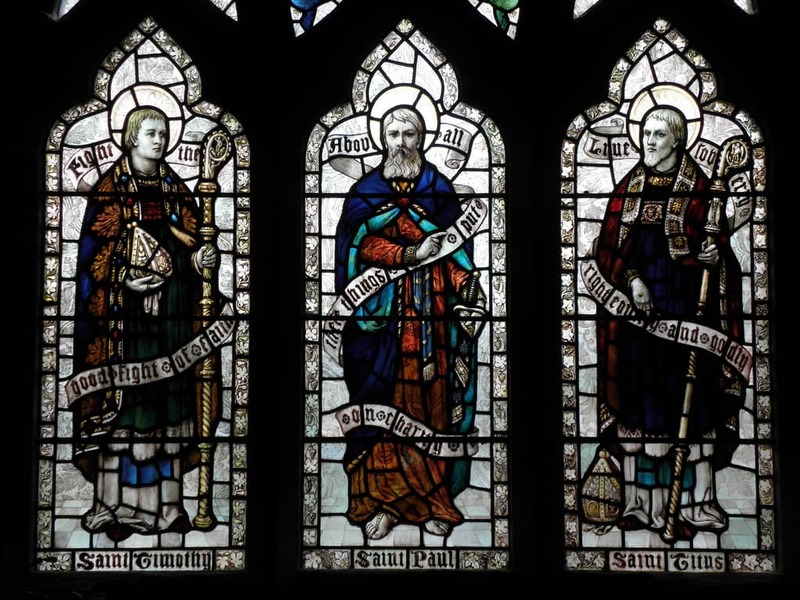 Eyewitness apostles and strong voices in the faith were few and far between. Paul knows Ephesus like no other leader. His writing to Timothy shows this clearly. Timothy is to continue the fight against persistent false teachers who encourage a lot of arguing and very little godly living. He is to order the leadership and various other matters in the church. 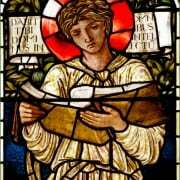 His letter is wholly on practical matters of church life, while sandwiched in between is Paul’s genuine encouragement and support for young Timothy. This letter is a lesson on many things. We’ll find teaching on practical matters in the church but also for older members in the church working with younger believers who show a good conscience and sincere faith. It is worthy of more than a quick glance through.